Produced by A4Jeazy, Anamefe is a soothing soft rock song you’ll love at first listen. What a power – what an awesome God, yeah. Who holds the sky? Who gave you life? He will turn your life around. Osadolor Deborah Osadebame popularly known as Almira was born in Lagos, Nigeria. She hails from Edo state, South-South region of Nigeria. Her father, Archbishop Peter Okoduwa, is a minister in The Pentecostal Church (Dispensational Gospel Mission) and from an early age she developed a love for both music and drumming. She was inspired when she saw Michael W. Smith, a prominent gospel musical icon in concert over twenty years ago and since then, her passion for music has grown and translated into various musical experiences. In her early years, she developed a rather uncommon interest for rock music and began listening, imitating and playing to the music of Michael W. Smith, Sinach, Kirk Whalum, and other rock luminaries. Her zeal for music made her join the choir (The Voice of Grace Choir, Lagos) at the age of 8. About that time, Almira was training and learning the jazz drum which led to becoming the assistant drummer in the church where she grew spiritually.Over time, Almira began sensing a deep yearning within; there was more to her music than she thought. She diligently took time to seek the Lord under the Mentorship and guidance of Pastor Osideko Precious in Christ Embassy under the Love World Ministry for about four years while studying at the University of Lagos. She moved to RCCG (The Redeemed Christian Church of God) after school where she is currently serving God and where she developed an intimate fellowship with the Holy Spirit. She realized that music was more than an item to fill a space in time but a calling in the Lord’s vine yard. 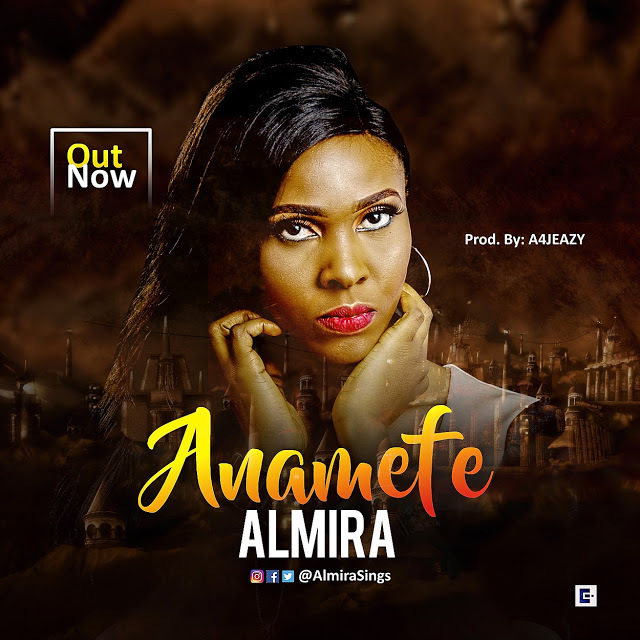 After many trying periods, her music ministry was born and for Almira, the main thrust was PRAISE & WORSHIP; one that ministered exclusively to the Lord and an avenue through which HE related with His people. Her singing style has since ushered many in concerts and churches into the presence of the LORD. Almira, a graduate of the University of Lagos, is a mother and a wife. She is also a recording artist and loves to see music as an expression of God’s word to his people. She currently has songs like Alagbara, Anamefe, Me and You, Prayer amongst others. The experience has been described as a spiritual and Artistic masterpiece with the hit track a soft-rock tune currently generating so much interest.